Can You Marinate & Refreeze Beef? How Long Can You Marinate Meat Before It Goes Bad? 2 Can You Marinate & Refreeze Beef? Most meats are relatively bland in their natural condition. Making them taste richly savory requires a degree of skill on the cook's part, and usually combines good cooking techniques with deft seasoning. Searing the meats is an important step, browning the surface and creating intense new flavors. Flavoring the meat with a marinade is another alternative. Most recipes call for relatively short marinating times, though marinated meats can safely be refrigerated for days. Marinating meats is a very straightforward process. Marinades usually include an acidic ingredient such as wine, fruit juice or buttermilk, which provides a modest amount of tenderization. Most include spices, fresh herbs and other flavorings, and some kind of oil. Some flavor compounds are water soluble and are carried b the acidic ingredient, while others are fat-soluble and are conveyed by the oil. In some cases, the cook simmers the marinade to infuse it with deep flavors, then strains it and cools it before combining it with the meat. The effect is the same, but the marinade becomes more richly flavored. Although the acidity in a marinade provides some protection against bacterial activity, marinated meats must still be handled carefully to minimize the risk of food-borne illness. Keep your meats in the refrigerator until you're ready to use them, and make sure your hands, knives and cutting boards are scrupulously clean. Marinate your meats in zipper-seal bags or sealed food-grade containers. Marinated poultry can be refrigerated safely for two days before it's cooked, and other meats can be stored for up to five days in the refrigerator. However, longer isn't usually better. The acidity and strong flavors of a marinade add a pleasant flavor to your meats and poultry during the first several hours. After that, they can rapidly become overpowering. With delicately flavored poultry, recipes often call for marinating times as short as a half-hour. Few recommend longer than overnight marinating. After that, the tang from the acidity becomes too assertive. The texture of the meat is also affected, with small pieces or slices developing an odd, mushy texture. The exception to this rule is large cuts of meat, especially wild-caught game, which can marinate for three days or longer. If you need to store your marinated, uncooked meat for longer than a day, it's usually better to package and freeze it after a few hours in the marinade. Draining the marinade from the meat minimizes any further effect, so it's your best option if you've already marinated your meat for the optimal length of time. Alternatively you can freeze the meat in the marinade as soon as it's mixed, or shortly after. The marinade continues to act on the meat while it's frozen, and is ready to cook as soon as it thaws. Freeze portions of unused marinade separately, to use as a glaze or sauce. 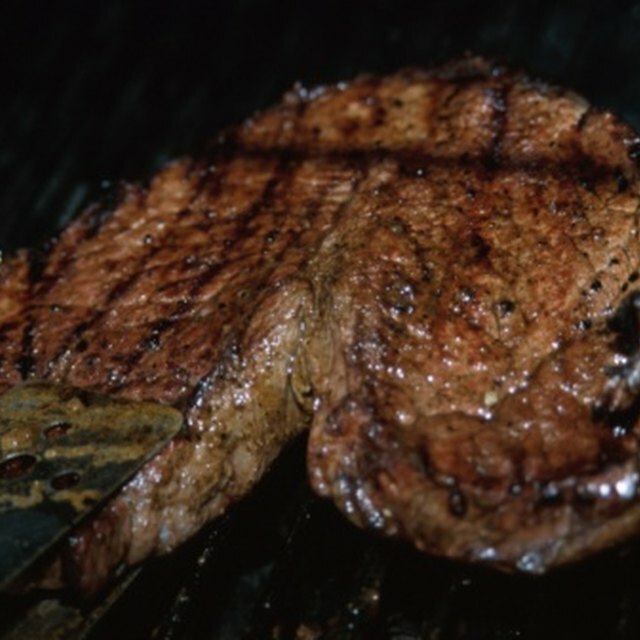 The marinade from the meat can be used instead, but it should be boiled first to kill any bacteria. Does Chicken Go Bad if You Marinate It in Vinegar Overnight? How Do I Heat Leftover Beef Tenderloin? Can I Use White Vinegar to Tenderize Veal Cutlets? Do You Drain the Marinade Before Cooking Pork Chops?